The Cluster spacecrafts record the sounds of "the interaction between the solar wind and Earth’s magnetosphere." 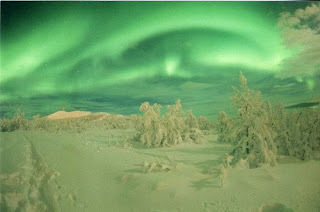 That's what creates the Aurora Borealis, "The Northern Lights," that not only look spectacular, but sound pretty cool too - like some hard-core electronics, e.g. Morton Subotnik, David Tudor, Cage, that kinda thing. But it's also kinda scary, like "Electronic Voice Phenomenon." Reminds me of a brilliant bit of retro-techno by the sadly short-lived Richard Maxfield that was inspired by the nocturnal birds and insects he heard in New York City parks. As great as this piece is, it doesn't appear to be in print - I ripped this from a 1967 album called "Music Of Our Time: New Sounds In Electronic Music" that also features famous folk like Steve Reich (the first appearance of his seminal tape-loop piece "Come Out") and Pauline Oliveras. Maxfield's obscurity is no doubt due to his brief life and career - he jumped out a window whilst on a bummer trip in 1969 at age 42. Someone reissue this man's works, please! Labels: Science, sounds, Space Age/Moog/Theremin etc. Jim "Supersaw" Leonard has a fantastic new collection of songs recorded in the late '70s/early '80s that originally appeared on cassettes sold at folk music festivals. I'm sure many of you have heard saw music before, but not like this - Leonard's innovative technique, allowing him to play a quick succession of notes (as opposed to the saw's usual theremin-ish drones) creates a wibbly-wobbly sound that really does my head in. Makes me feel like I'm hallucinating! A whole album of this could drive lesser men mad. Jim Leonard lives in a small, remote California desert town, and apart from still playing and teaching the saw, pursues other interests: amateur radio, and astronomy. It's official - we've got one of the sons of Kenya sitting on top of the world. So let's get to know a little Kenyan culture, shall we? After all, some of the oldest known human fossils have been found there - we may all have a little Kenya in us. The late, great guitarist Daniel Owino Misiani is responsible for one of my favorite African albums. It's actually one of the few Kenyan releases I own. Though it's capital city Nairobi is as cosmopolitan as any on the continent, Kenya's current pop scene seems to me (and correct me if I'm wrong) largely dominated by reggae, rap, and West African styles like Congolese soukous. Hence, it hasn't really carved out it's own identity. Misiani's "benga" style does indeed favor the soukous influence that swept African music in the '80s and '90s, but he puts a brilliantly unique Swahili spin on it. On paper, soukous/benga looks a lot like punk: electric guitars, drums kits, simple chord progressions, furious energy level. But the off-kilter rhythms, and dazzling guitar melodies (Misiani tosses off killer licks seemingly at will) take the old guitar/drum/bass lineup to a whole other place. Like soukous, the songs start melodically, shifting from vocals to guitar workouts for the second part of each song. In fact, if you're short on time and just want to skip to the "good parts," you may want to just listen to the last couple minutes of each song. But it's all good. The lyrics often are derived from the tradtional practice of the "praise song" - only now, instead of praising tribal chiefs, the all-Swahili lyrics (according to the liner notes) praise their friends, a judge, even a furniture seller who employs many local citizens, and whose sofas are so comfortable that "you soon fall asleep." 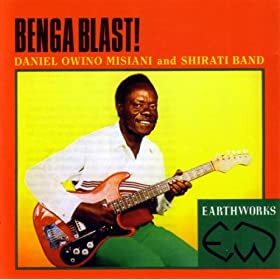 Daniel Owino Misiani and Shirati Band - Benga Blast! 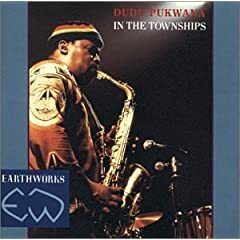 This album is totally different - it hails from way down South Africa way, features sax and piano instead of guitar, is mostly instrumental, and is based on the "township jive" mbaqanga style. It does, however, share the same infectiously joyous spirit and unique (to Western ears) rhythms, all serving to create high-energy dance party mayhem. Pick hit: "Nobomyu." And then there's the not-so-great series of psuedo-bossa classic rock tribute albums coming out of Europe. 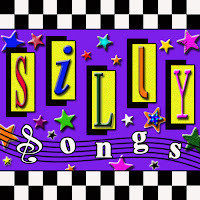 So far, there's two-count 'em-TWO volumes of Rolling Stones remakes entitled "Bossa n' Stones" (that's how they spell it) and, even more weird, a Guns 'n' Roses tribute, "Bossa n' Roses." Having dutifully listened to these, all I can say is: if cheezy low-energy electro/lounge/house remakes of classic rockers as sung by yet more post-Portishead breathy femme vox is your cuppa, well, knock yourself out, sport. I have to wonder: why? These albums don't appear to be meant as a joke. Is this simply continuing the long tradition of EZ remakes of hits? But what real rocker would want to listen to something like this? ...he STILL wouldn't be as messed-up as Dan Bull, a 22-year-old self-described autistic, whose album "Safe" is so disturbing, it makes eminem sound like Doris Day. It's a mighty impressive debut, begging comparisons to The Streets, but if ya ax me, this dude's got much better flow. The music is similarly well-crafted. It starts off fairly innocuous, with a wistful tale of summer, followed by a love song, and that's as happy as it gets - the lover spurns him, and he actually sounds like he's about to break down by the end of the song. From then on it's nothing but pain, alienation, loneliness, and dreams of oblivion to escape his torturous life. Happy New Year! I don't get the "autistic" diagnosis, though. I thought autistics couldn't communicate? Dan Bull gets his thoughts across loud and clear. I hope it is a real mental health condition - otherwise, there'd be no excuse for a fucked-up lyric about "the day I die will be the greatest day since Sept. 11." This tune is actually a catchy, musically up-beat, succinct (2 1/2 minute) rocker, if you don't mind lyrics that are along the lines of "mankind is doomed and we're all gonna die." Listen to a lo-fi stream of all the songs here. Can someone in England please put a suicide watch on this guy? UPDATE: Just got a note from the man himself, who clarifies: "I have a form of high-functioning autism (Asperger syndrome) that means I'm highly literate especially in contexts where I can plan out and write what I'm going to say - hence the wordiness of the album. It's social interaction, sensory overload and the resulting anxiety from these that I struggle with."